Photography 3 Edition For one or two semester courses in the History of Photography. Mary Warner Marien has constructed a richer and more kaleidoscopic account of the history of photography than has previously been available. Her comprehensive survey shows compellingly how photography has sharpened, if not altered forever, our perception of the world. The book was written to introduce students to photography. It does not require that students possess any technical know-how and can be taught without referring to techniques in photography. 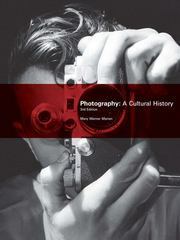 Incorporating the latest research and international uses of photography, the text surveys the history of photography in such a way that students can gauge the medium's long-term multifold developments and see the historical and intellectual contexts in which photographers lived and worked. It also provides a unique focus on contemporary photo-based work and electronic media.